The International Cricket Council (ICC) have announced the full schedule for both men's and women's tournaments in the 2020 T20 World Cup. The two competitions will take place in Australia and will run separately. The women's tournament stars on 21st February and ends on 8th March. On the other hand, the men's tournament will take place between 18th October and 15th November. The final for both events will be held at the Melbourne Cricket Ground (MCG). 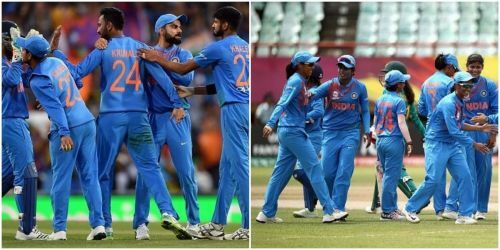 India’s schedules and groups for both men and women's tournaments in the 2020 T20 World Cup have been announced in Sydney today. In the men's tournament, India are among the eight teams to gain a direct berth in the Super 12 stage. In the Super 12s, Virat Kohli's team are clubbed in Group 2 along with South Africa, England, Afghanistan, and two qualifiers from the first round. The Indian men’s team will begin their campaign against South Africa on 24th October. They will then take on A2 qualifier on 29th October before clashing against England on 1st November. Their fourth match against B2 qualifier will be held on 5th November and final group match against Afghanistan will take place on 8th November. The two semifinals will be held on 11th and 12th November at SCG and Adelaide Oval respectively. The final will take place on 15th November at the MCG. In the women's tournament, India are clubbed in Group A along with Australia, New Zealand, Sri Lanka and a qualifier. They will begin their campaign against Australia in Sydney on 21st February. They will then take on a qualifier on the 24th. The Women in Blue will clash against New Zealand on the 27th and Sri Lanka on the 29th. Both semifinals will take place on 5th March at the SCG in Sydney. The final will be held on 8th March at the MCG in Melbourne.